The 6th edition of Miss Global is under the spotlight nowadays as the coronation night of the pageant is going to be held on 11th February 2019 at the Newport Performing Arts Theater, Manila, Philippines. The pageant has grappled millions of eyeballs as the forty-seven delegates from all around the world are going to represent their respective countries and compete for the prestigious title of Miss Global 2018. The gala night will see the crowning of the successor of the outgoing queen Miss Global 2017 Barbara Vitorelli. at the conclusion of the event. Angelopedia chooses its Top 15 Favourite delegates out of which Tamila Sparrow from Uzbekistan is one of them. 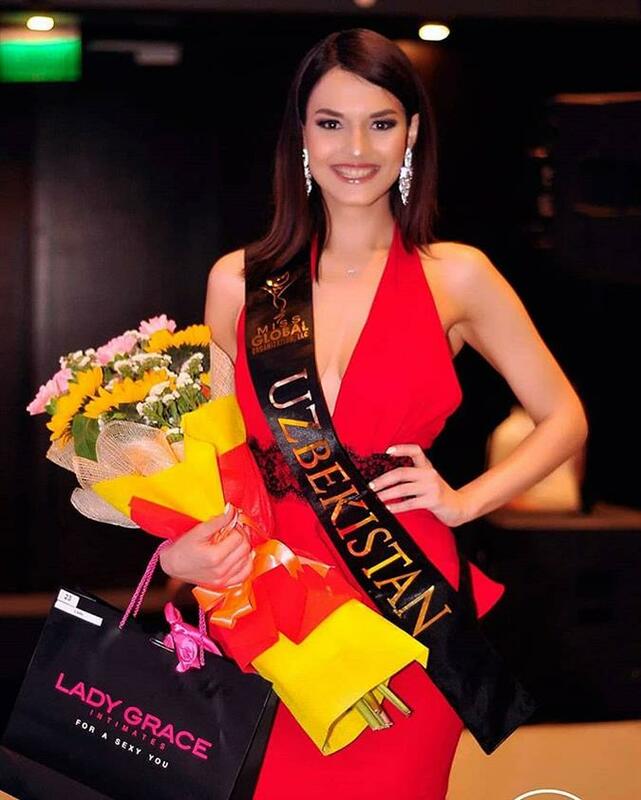 This gorgeous young diva showed her brilliance at the initial stage of the journey of Miss Global 2018 when she was declared the 2nd runner-up in the press presentation. This is a young talented diva who stands tall at 177 cm and who is not just a beauty pageant titleholder but is also an aspired singer. It is safe to render her a tag of Multi-talented soul as besides all this, she is a host as well. Such a multi-talented beauty is going to flourish enough and win millions of hearts. Tamila’s first appearance in Press Presentation was immensely heart melting and moreover the results shouted out loud enough about her capabiltities as she was declared the 2nd runner-up at the conclusion. This shows that she will definitely make a memorizing impression in millions of minds with her performance in the finale. Angelopedia wishes her all the very best for her success and hopes that she make her country prouder through her win!